ffering quality rehabilitative care as well as excellent long-term care. We recognize how important it is to select the right health care option to meet your individual needs. Chesterton Manor has the programs and support services to assist you and your loved one as their care needs increase or decrease. It is our goal to meet the needs of each resident while maintaining the privacy, dignity, and integrity of each resident. That’s why our philosophy at Chesterton Manor is "Residents First". This philosophy affects everything we do; from caring for our residents to the manner in which we conduct the business and operations of our company. 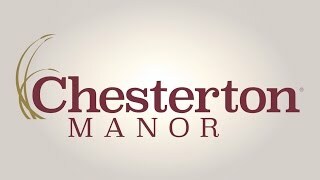 At Chesterton Manor, activities abound! Join us for Bingo, Music and more. Residents, families and volunteers are welcome. Just check our monthly Activity Calendar. I've been here 13 years and I'm really happy here because it's relaxed and it feels like I'm living in a home. The staff and residents are very kind to me and I enjoy the socialization. I really like being able to pick out what I want for breakfast. I get French toast and sausage every morning. I love listening to music and watching television and I have the freedom to do both.